One night. Eight Fighters. All in a single elimination match. The most anticipated comeback of Shine Fights in the MMA fighting ring is here for real! After 15 years, the Grand Prix format will fill the eyes of the fans once again. 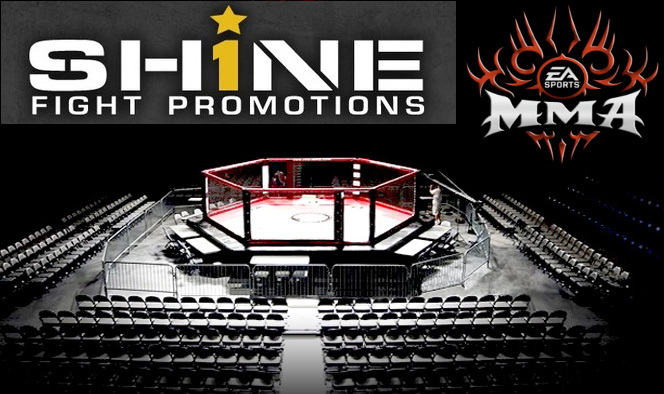 Shine Fights COO, Jason Chambers, announced today that the promotion company will be back in the MMA ring on September 10 at the Patriot Center in Fairfax, Virginia. After 15 years, the Grand Prix format will be held in the US for the first time. Sanctioned by Virginia State Athletic Commission and contested under Nevada State Athletic Commission, each of the 155 lb fighter will be paired off in the opening round. Four winners will move to round two and from there, two winners will battle for championship. Rounds one and two is composed of two 5 minute match, and the finals is a three 5 minute battle. A 3 minute overtime is also included if needed to decide a winner. The bout will be broadcast on PPV live by Multivision Media Inc. starting 9:00 pm EST/ 6:00pm PST with a suggested retail price of $29.99. Tickets are priced at $350, $154, $94, $74, $64, $44 and $24, and will go on sale this coming Saturday, August 14, at 10:00 am EST via ticketmaster.com. A 15% discount on the ticket face value will be given to the “early birds” on the first 48 hours by Patriot Center Box Office from 10:00 am – 5:00 pm.